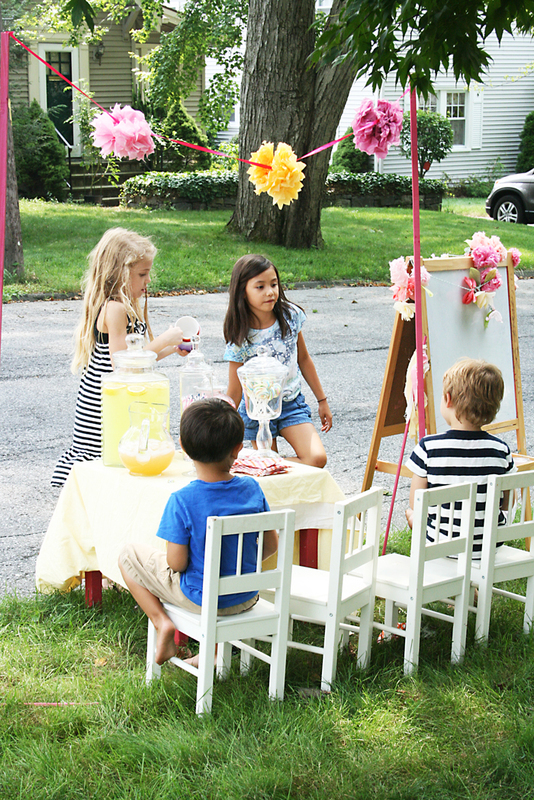 I know it’s almost October and I should be talking about apple picking and pie baking, and here I am talking about our lemonade stand that we had this summer. Honestly our summer was very uneventful. We were living in between Connecticut and Atlanta (living in corporate housing which was a 2-bedroom apartment) and didn’t do much except swim and look for houses (seriously, that boring). 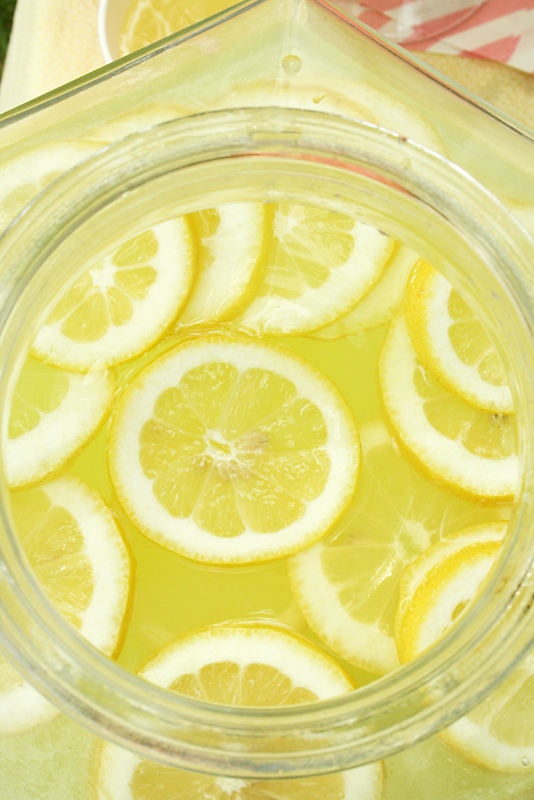 My kids’ number one request for the summer was to have a lemonade stand. That’s all they wanted! 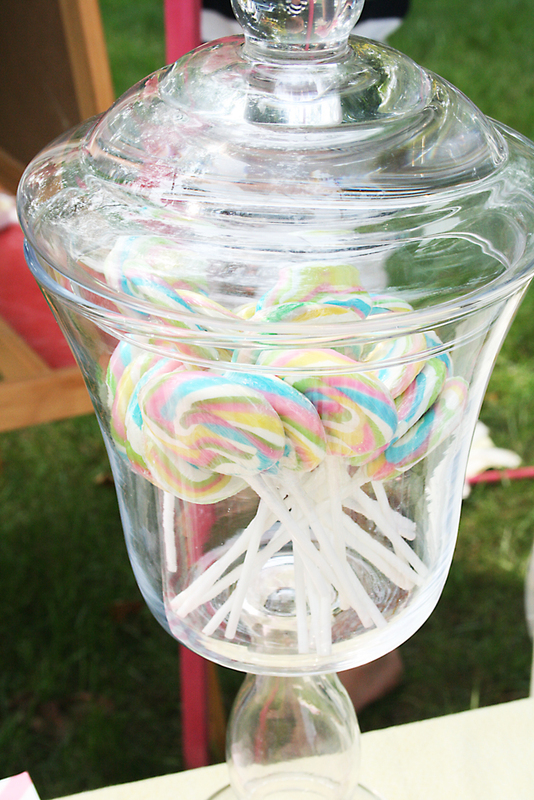 So once we were back home in Connecticut and among the moving craze and piles of boxes, I gathered materials from my party closet and let the kids spend the afternoon selling lemonade, homemade muffins and sweet candy. 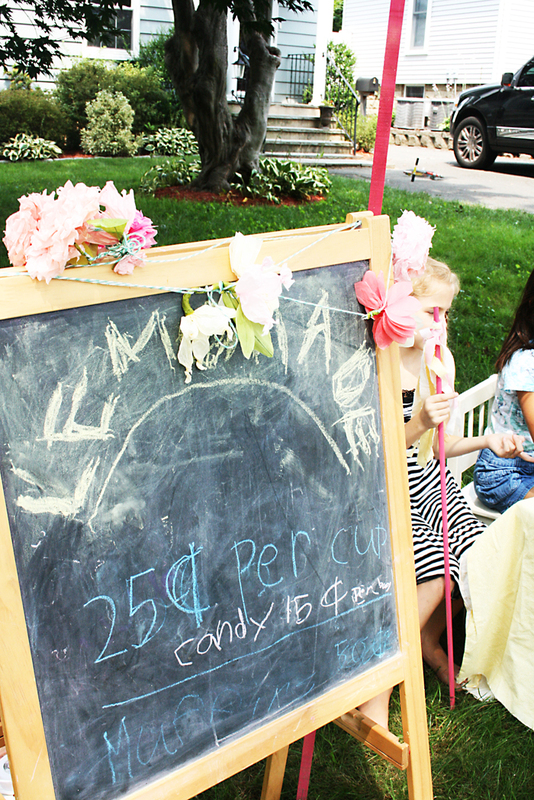 They had such a blast and made good money even with their well-priced 25-cents a cup lemonade. 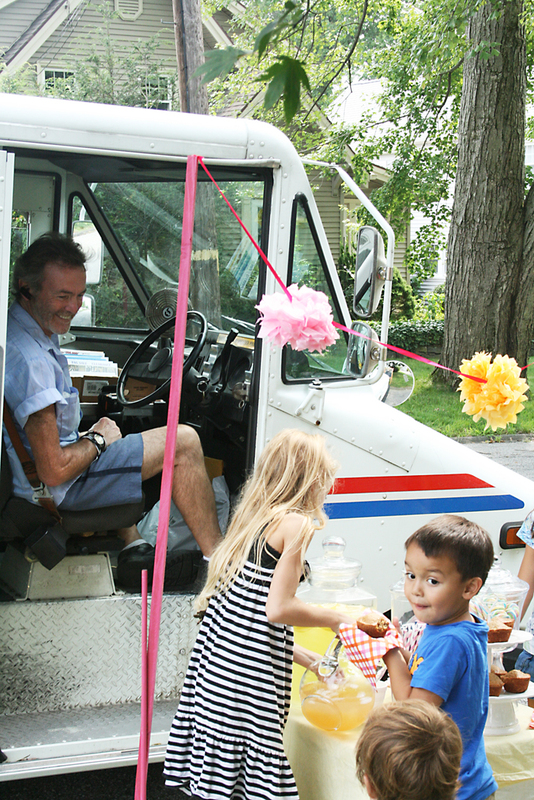 And I found one of the best ways to meet people who live in your neighborhood is to have a lemonade stand. Now looking at these pictures makes me long for our awesome yard and family-friendly neighborhood. Thanks for letting my kids be a part of the fun! We sure miss you guys and CT life!! 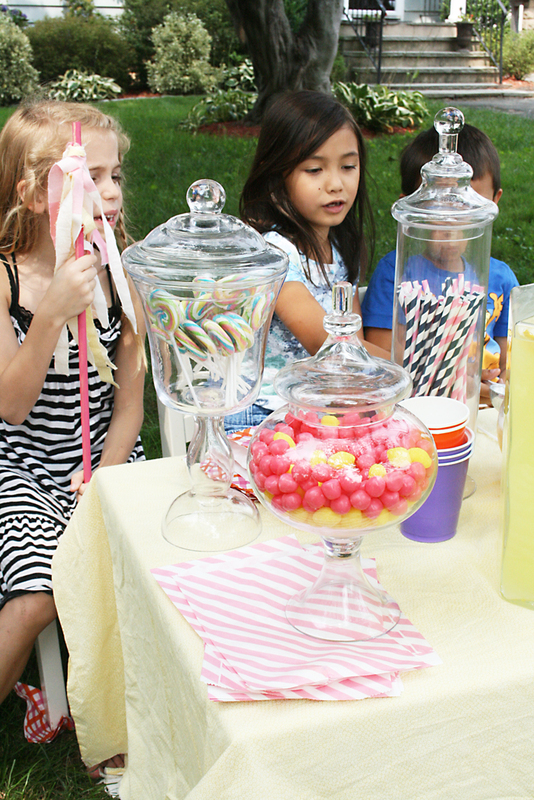 Only you could make a kids lemonade stand look so fabulous!